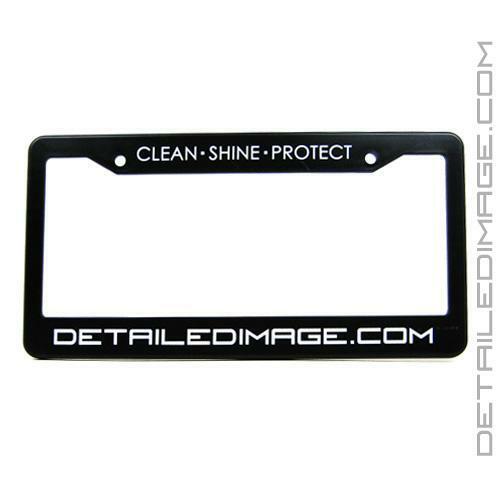 The official DetailedImage.com License Plate Frame is another way to show your support for Detailed Image and that you care about your vehicle. This is a black license plate frame with DetailedImage.com in white lettering. The "Clean Shine Protect" tag line is perfect for any detailer. The professional yet stylish appearance looks great on every vehicle. It has two standard drilled holes at the top to accommodate most frame and state requirements. 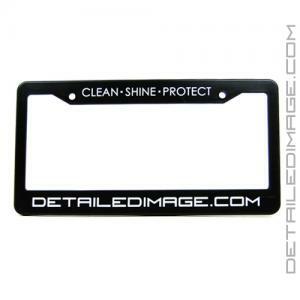 Pick up one or two license plate frames and show off your DetailedImage.com pride! I love DI, so when I reached the appropriate limit for the free pair, I knew I had to get them. Now I drive around town promoting and getting looks from car nuts like myself who I'm sure will check out the site. Thanks guys! The plate cover is OK but it should have had clips to the bottom to hold the plate.. Not happy with the rattle when closing the truck.Other than that it fine.